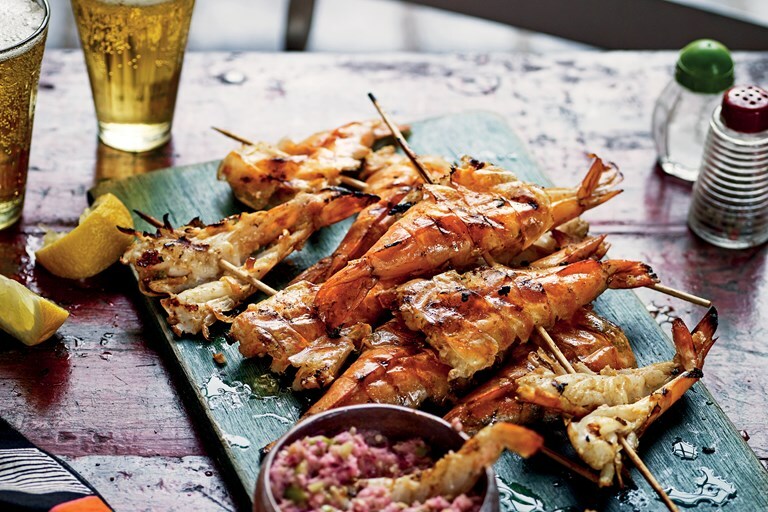 Zoe Adjonyoh's barbecued prawn skewers recipe is packed with Ghanaian flavour, perfect for the summer. This recipe is taken from Zoe’s Ghana Kitchen by Zoe Adjonyoh, published by Mitchell Beazley. Photography by Nassima Rothacker. Grilling over charcoal is the favoured way to cook most fish and seafood in Ghana – especially along the Accra coastline where there is an abundance of fresh seafood, and up into the region alongside Lake Volta. This recipe is inspired by my experience in Jamestown, Accra, where I watched the local fisherman hauling in their catches.